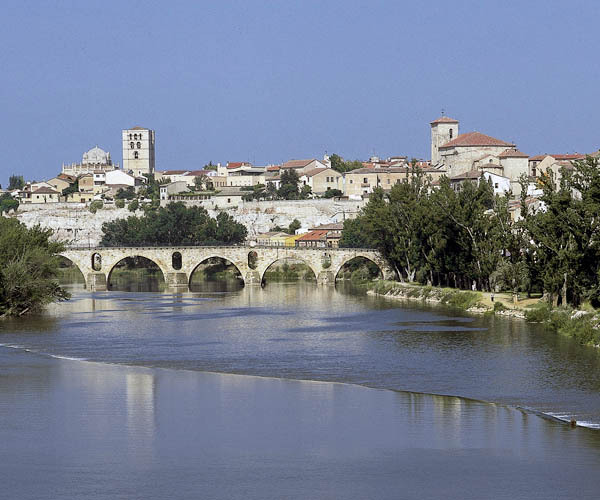 A Celtiberian and Roman city conquered by Almanzor and later the subject of medieval songs, Zamora, with unparalleled Romanesque architecture and a lively cultural and festive life, is one of the lesser-known jewels of old Spain. Zamora dates back to ancient Ocellodurum, first settled by the Vaccaei and later Romanized. It defended a ford over the River Douro on the former tin transportation route, the Roman road (Vía de la Plata), which connected Hispalis (Seville) and Emerita Augusta (Mérida) with Asturica Augusta (Astorga) and the mines of the Leonese and Cantabrian mountains. 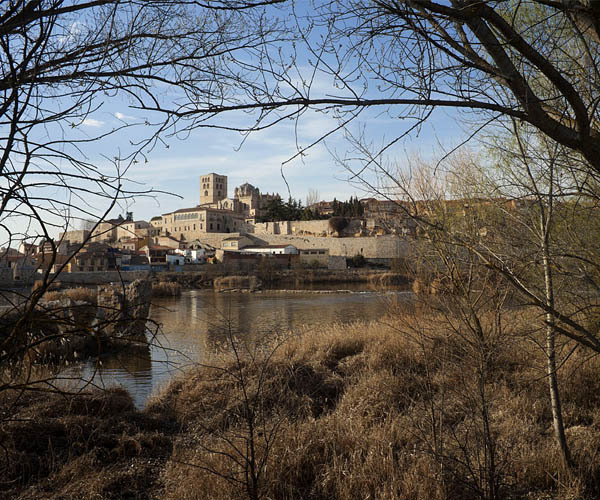 There is little information about Zamora, whose name was Semure under Visigothic rule, in the early centuries of our era. With the Moorish invasion of the Iberian Peninsula, it remained an isolated and sparsely populated stronghold. Alfonso III reconquered Zamora from the Moors (893), repopulated it with Mozarabs from Toledo and raised the first town walls. Almanzor conquered the city and laid waste to it in 988, although it was eventually returned to the Kingdom of Leon. Ferdinand I repopulated it and granted it a charter (1061) and Alfonso VI gave it to his sister Urraca, who ruled as its queen. Zamora endured a siege of several months laid by the brother of Urraca and Alfonso, Sancho II of Castile (‘Zamora wasn’t won in an hour’, a popular saying goes). The siege culminated in a famous episode that would later be included in the Song of Sancho II of Castile and especially in the Chronicle of the Cid: Vellido Adolfo, a gentleman from Zamora, slipped out from the besieged city at the instigation of Urraca and, pretending to want to change sides, knifed King Sancho to death (6th October 1072). Sustained by a booming textile industry, Zamora lived its period of greatest splendour between the 13th and 15th centuries, as demonstrated by its portentous Romanesque architecture. Internal strife in the Kingdom of Castile and wars with the Kingdom of Portugal reinstated Zamora as a military stronghold in the 14th and 15th centuries. 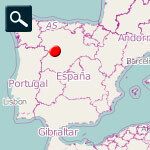 From the 16th century Zamora entered into decline along with its languishing textile industry. 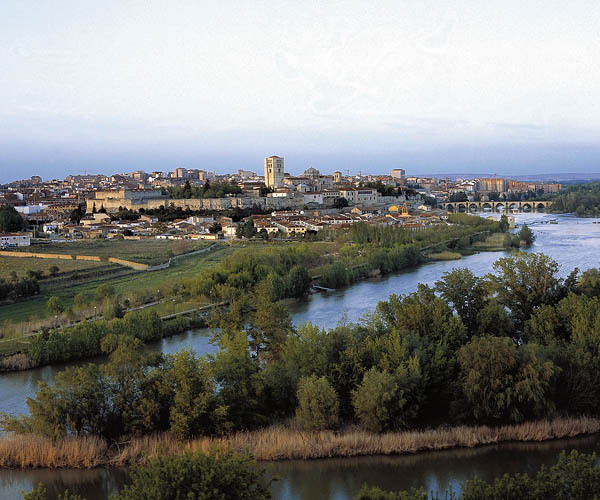 Isolated as it was from the main communication routes of the region and eclipsed by the growing dynamism of nearby Valladolid and Salamanca, Zamora was excluded from the heavy industrialization of Spain in the mid-20th century. 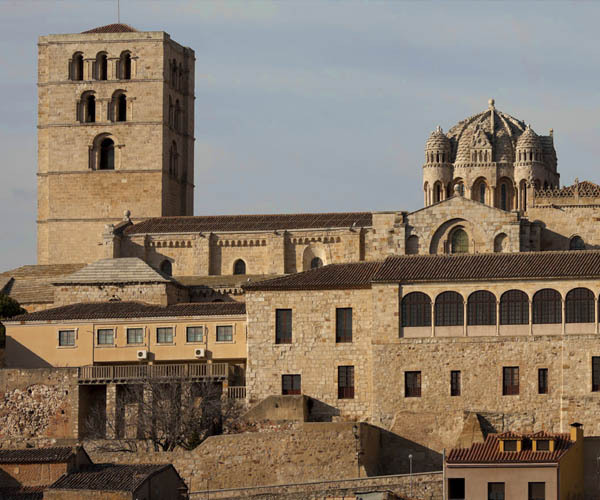 Zamora has the largest collection of Romanesque buildings in Spain, with some 30 religious, civil and military buildings concentrated in its relatively small medieval quarter. The bridge over the Douro, with its 16 gently pointed arches, is also Romanesque (12th-13th centuries). The town walls form three successive enclosures (12th-13th centuries) that still clearly outline the medieval profile of the town, which has two 13th-century gateways: the Olivares (or Bishop’s) Gate and St. Bartholomew’s (or Zambranos’ or Doña Urraca’s) Gate. Nearby is the castle, which has been renovated several times, and also the magnificent Cathedral of San Salvador. This cathedral is the most important Romanesque building in Zamora (1151-1174), with French Poitou, eastern Mediterranean (Byzantine and Sicilian Norman) and Islamic influences, and was refurbished between the 15th and 17th centuries. The Romanesque churches of Zamora (12th-13th centuries) have a largely uniform style thanks to the use of traditional Zamora puddingstone (sandstone with reddish and ochre tones) and the application of a handful of similar construction models. This is the case of the churches of Santa María Magdalena, Santa Maria de la Orta (or Horta), Santiago the Elder (or of the Knights), San Claudio de Olivares, Santiago del Burgo, Santo Tomé, San Cebrián (or San Cipriano), San Pedro y San Ildefonso, San Juan de Puerta Nueva, Santa María la Nueva (an annexe of which houses the Holy Week Museum), the Holy Sepulchre, San Esteban (housing the Baltasar Lobo Museum ), San Leonardo, San Isidro and Santa Lucía (whose storehouse, now housing the Provincial Museum, is open for visits). Zamora has numerous noble and manor houses, such as the Casa del Cid (or Casa de Gonzalo Arias), which, although substantially refurbished, still have Romanesque features. The civilian buildings of most interest are the Palacio del Cordón (16th century), home to the Provincial Museum; the 12th- and 13th-century Gothic-Renaissance palaces of Momos and of the Counts of Alba and Aliste (the latter now a luxurious Parador hotel); the old Town Hall (1484-1493); and the Hospital de la Encarnación (Herrerian style, Juan Gómez de Mora, 1629).